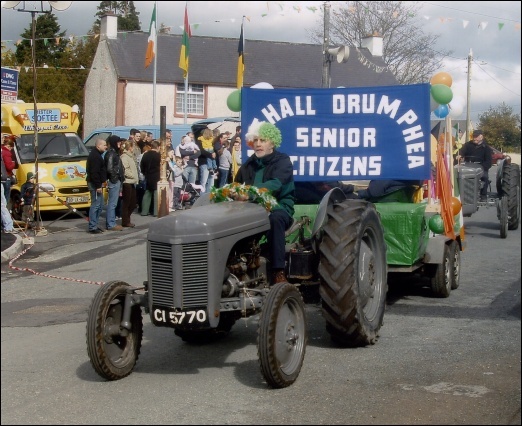 Myshall/Drumphea Senior Citizens Club is very active; it was founded in Myshall Hall with 29 local people of the Parish. From information gleaned from our older members of our club they have recalled how things have changed greatly. The summer outing at that time was a lot more labour intensive. They had to book a hall in advance and bring food with them for the day e.g. sliced pans, butter, meats, eggs, salad and milk. When they got to the hall they started making the sandwiches etc. etc. This has changed to having a lovely meal in some chosen hotel. They had some entertainment, but they brought that with them. Christmas Parties were held in the small hall in the Community Centre in Myshall. Again the committee had to do all the cooking and serving. Most of the turkeys were cooked in 2 or 3 members of the committee's homes and delivered to the hall on the day just in time for the dinner. One memorable outing on which they were hosted and interviewed by Derek Davis and Thelma Mansfield. 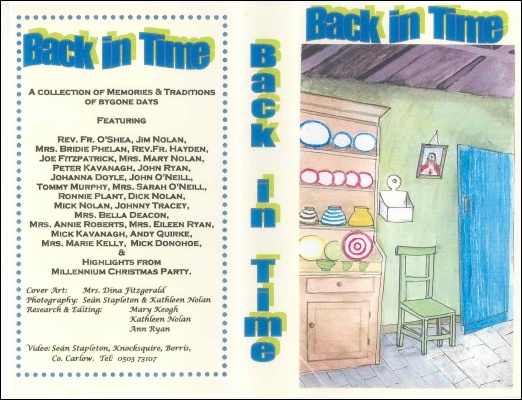 Our present committee undertook a major project to commemorate the Millennium Year by researching, sourcing, recording and producing a video titled "Back In Time". 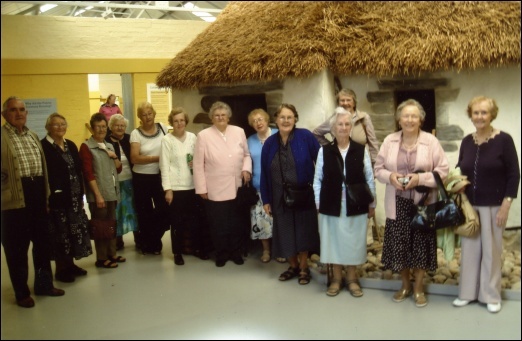 Many of our Senior Citizens recalled their memoirs of 'bygone days'. 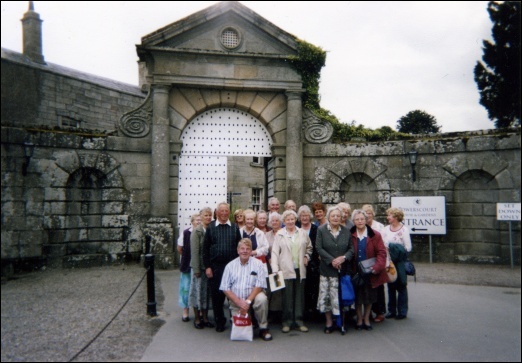 To the delight of our committee the video was launched to a packed audience in December 2000 by Rev. Fr. Hayden. 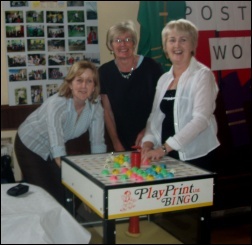 Bingo equipment was purchased from the sale of the video and our Senior Citizens enjoy the game on the 3rd Wednesday of each month. Annual Summer Outings usually take place mid-July, to places such as Áras an Uachtaráin, Guinness Brewery, Farmleigh, Glenroe, etc., ending with a lovely meal in a chosen hotel, followed by music and dancing. Christmas Parties are held in early December, again followed by music and dancing. With the ever-increasing population in the area we would welcome newcomers to our club or to any of our activities.